Beautifully updated ranch home in highly sought-after Park Hill neighborhood! 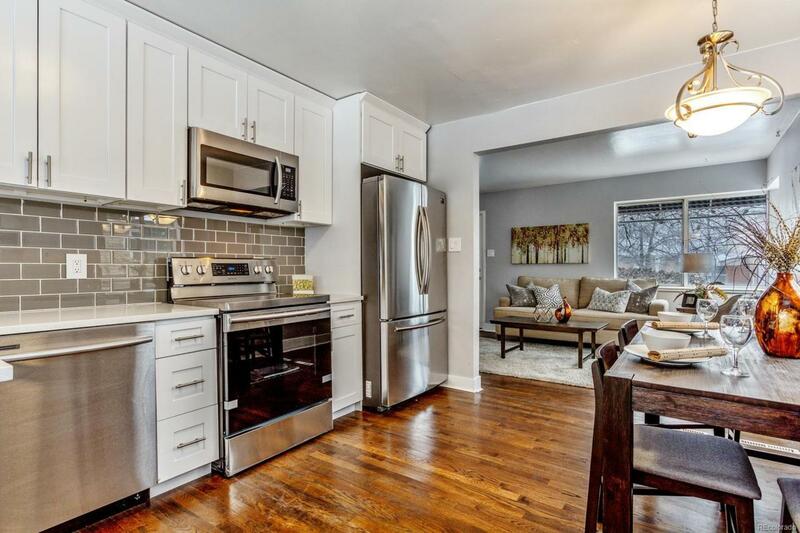 This charming brick home consists of an open floor plan and tons of updates! The interior features include; refinished hardwood floors, eat-in kitchen, new white shaker cabinets, new quartz countertops, custom tile backsplash, new stainless-steel appliances, newer tiled baths, and much more. You will love spending time in the large backyard that is ready for your finishing touches. Conveniently located minutes from the light rail, and from parks, dining, shopping, and all that Park Hill and Stapleton have to offer. Bring your clients before its gone!